Bonanza is rumored to have been the owner’s favorite TV western series, thus the name of this golf club. Located a couple of hours northeast of Bangkok, Bonanza Golf & Country Club is in the cooler elevations near Khao Yai National Park. 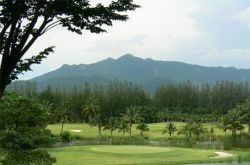 This international quality golf course plays through a Khao Yai valley that is somewhat pastoral. Named after Sir James Holt the golf resort is more commonly known as Forest Hills Country Club & Resort. Khao Yai Golf Club (before that Mission Hills Khao Yai) is worth a visit if only to experience another fine example of Jack Nicklaus&apos;s design work. Kirimaya Golf Resort & Spa, formerly The Country Club Khao Yai, is set within natural surroundings with panoramic views of the Khao Yai National Park. 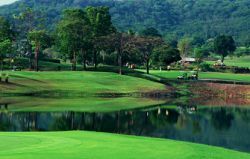 Kirimaya is best quality golf resort in the Khao Yai area and one of the most natural courses anywhere in Thailand. 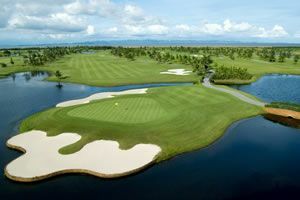 The Khao Yai golf course is described by the Nicklaus design team, to be one of their 3 best in Asia. 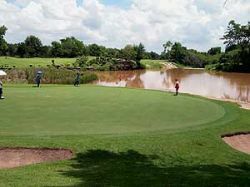 Korat Country Club Golf & Resort is one of the better courses in the Korat area and is popular with Thais, expats and other Khao Yai golfers. Situated 15 minutes south of Korat town close to Pak Thong Chai, Rooks Korat offers a well-kept course in secluded private grounds. 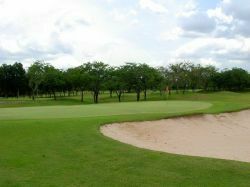 Korat golf club is a pretty inland course surrounded by mature woodlands. Mountain Creek Golf Resort and Residence is a 27 hole golf course located past the Khao Yai National Park. 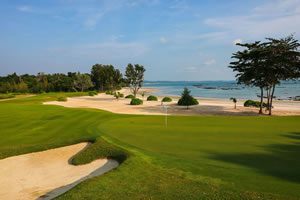 Thailand’s only Seve Ballesteros designed golf course is spread out over three nine holes loops, each of which has been named to follow their natural environments: Highlands, Creek, and Valley. The former world No. The Panorama Golf and Country Club (formerly called &apos;The Voyage Panorama Golf Resort&apos;) is on the way to Khao Yai National Park and can be reached either from Bangkok or Korat. The relatively long driving time is rewarded by the golf course which has been built partly through the local virgin forest and partly on a bluff overlooking the whole Khao Yai valley. 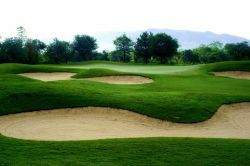 The golf course at Panorama Golf and Country Club closely follows the contours of its mountain-rimmed valley host and is often pleasant and breezy. 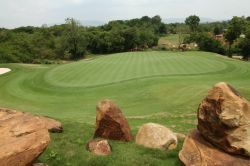 Rancho Charnvee is an 18-hole layout in the Khao Yai National Park area. 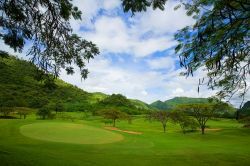 The rather flat Bob McFarland resort course is fun to play and caters to golfers of all abilities and as with other Khao Yai golf courses, views from the course are often stunning. The golf course has more room off the tees and larger more receptive greens than other Khao Yai golf courses. The only Nelson & Wright designed course in Thailand, Royal Hills combines challenge for golfers of the highest abilities along with wide fairways and more relaxed routes to the greens to ensure enjoyable golfing for all. 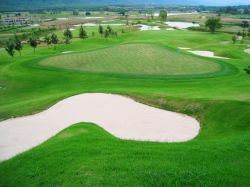 Toscana Valley is a challenging course located in a deep valley of the world heritage site of Khao Yai National Park. An excellent setting for a golf club, Toscana Valley compliments the Khao Yai backdrop and, save for the palm trees, resembles the environment of Tuscany Italy. Bob McFarland from the USA provided initial drawings for the course at Toscana Valley .